The Center for Islamic Pluralism expresses its regret at the late receipt of the death notice of Arbën Xhaferi, a leader of the Albanian community in the Republic of Macedonia. 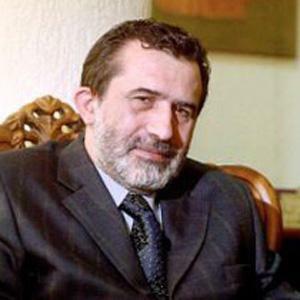 Arbën Xhaferi left this world on August 15 at 64. I and others associated with CIP considered Arbën a friend and teacher in many respects. He was born in the Albanian-majority, western Macedonian city of Tetova, which is known for its spiritual legacy in the form of the Baba Harabati Bektashi Sufi teqe. He graduated from Tetova high school, and from the Philosophical Faculty at the University of Belgrade in former Yugoslavia. He later worked in the cultural programs of radio and television in Prishtina, Kosova. He was respected as a serious thinker and commentator. Arbën was committed to democracy and pluralism, as an advocate for the rights of Albanians in Macedonia and elsewhere in the Balkans. He was prominent in relief efforts for Albanian refugees from Kosova in 1998-99. Previously active in the Party for Democratic Prosperity (PDP) in Macedonia, Arbën had become chairman of the Democratic Party of Albanians in Macedonia (PDSh), founded in 1997. In 2007, he handed leadership of the PDSh to Menduh Thaçi, cofounder with him of the PDSh, because of Arbën's advancing Parkinson's disease. Arbën remained the honorary chairman of the PDSh. His death was caused by a stroke. When I met him in Tetova in 2003 it was clear that illness had slowed his physical activity but had not dulled his considerable intellectual faculties. I remember him with affection and grief at his physical suffering. 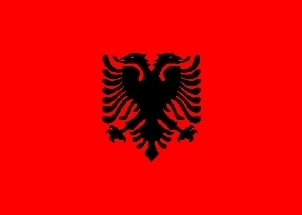 Although a champion of Albanian ethnic rights in Macedonia, Arbën was a man of peace, as shown by his opposition to fighting between Albanians and Slavs in Macedonia in 2001 and his signature to the Ohër agreement that ended the conflict that year. Arbën served as a deputy in the Macedonian Parliament. From 2006 to 2008 the PDSh participated in a governing alliance with the Internal Macedonian Revolutionary Organization-Democratic Party of Macedonian National Unity (VMRO-DPMNE), originally a multi-ethnic social-revolutionary party that divided between pro-Communists and anti-Communists. With the secession of Macedonia from former Yugoslavia in 1991, the VMRO-DPMNE was seen as a political alternative to the ex-Communist Social Democratic Union of Macedonia (SDSM). His insistence on Albanian rights in Macedonia caused Arbën to be portrayed as a radical nationalist, but his work for peace and reconciliation showed him to be a true and consistent patriot. Perhaps his greatest achievement was to obtain a revision of preamble to the Macedonian national constitution, which defined the country originally as "the national state of the Macedonian people," to describe the republic as "a national state of the Macedonian people, in which full equality as citizens and permanent co-existence with the Macedonian people is provided for Albanians, Turks, Vlachs, Roma and other nationalities living in the Republic of Macedonia." He was also proud of the state recognition of the University of Tetova in 2004. At the time of Arbën Xhaferi's death, Macedonia faces the specter of renewed conflict between its two main communities, Slav and Albanian. In such a dangerous context, aggravated by the economic and political turmoil in neighboring Greece, Arbën will be tragically missed. 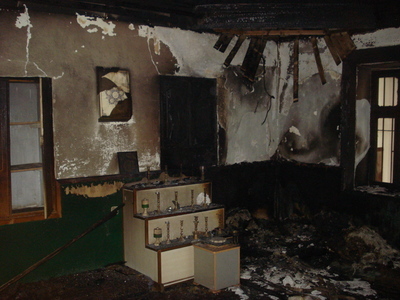 Wahhabi destruction at Baba Harabati Bektashi Sufi teqe, Tetova, 2010 -- Photograph by the Bektashi Community of the Republic of Macedonia. 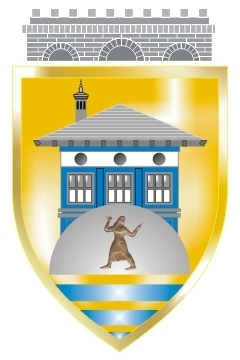 In addition, the status of the Baba Harabati Bektashi installation in Tetova, the refusal of the Macedonian authorities to grant legal status to the Bektashis there, and occupation and abuse of the large facility by Wahhabi interlopers, have left Tetova, the city Arbën Xhaferi loved, in a condition of unresolved conflict. The prayers and actions of all Albanians and people of good will are especially needed at this time of renewed difficulties in the Balkans. For all individuals of conscience, Arbën Xhaferi provided a necessary example. Fatiha.